I'm brand new to this forum. This is going to really sound cliche... 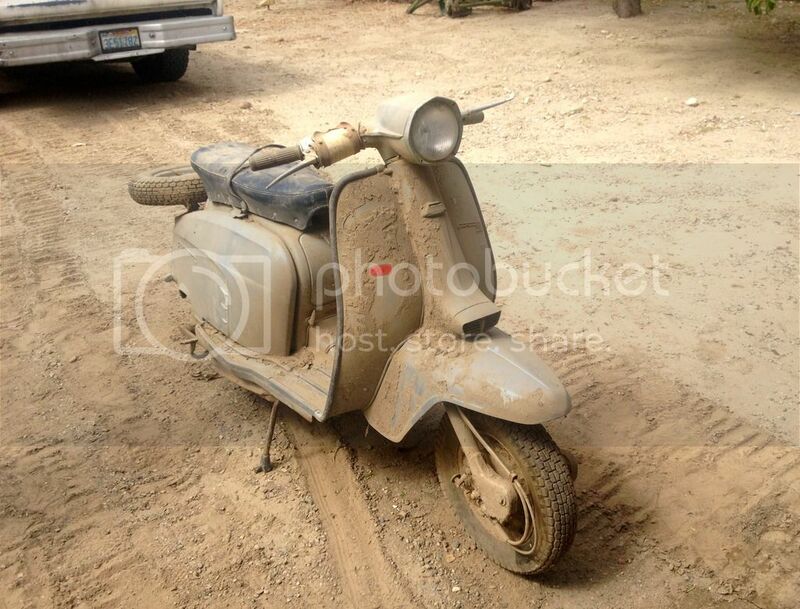 I recently found a 1964 Lambretta 150 Special, literally in a barn, near where I live in Pasadena, CA. Would anyone care to see pictures (not sure how to upload)? Hi PJ! welcome. Post pics...better yet, join us at Lammy Jammy in Pasadena in June! Pictures would be fantastic, probably best to take them after you blast the crud off of it with a hose. FYI try to avoid the "V" word in future posts . You have found a fantastic model too, I and others will be jealous, you are a lucky person. Hey PJ sounds like a great score. To post pics you need to upload them to your favorite photo site (Flickr, etc) then copy the code and paste it into your posts. Like Josh says you've got to get out to Lambtetta Jamboree in Pasadena next month. Check out the thread for details of all the weekend's events. Finally, I'm in Burbank and there are a good few of us all around that can help you out as needed. As for restoring it, my humble opinion is to get it running and simply ride it for awhile. Then decide if/how you want to restore or upgrade. Feel free to PM me and I can point you to any upcoming rides in the neighborhood. I'd love to see pics too. I think it's amazing that there are still bikes to be had around Los Angeles.. It never ceases to surprise me..
... and never ceases to annoy me that I never find them. You won't find a nicer group of people than the LCUSA Welcome. I started cleaning the scooter a little. Mostly with a vacuum. 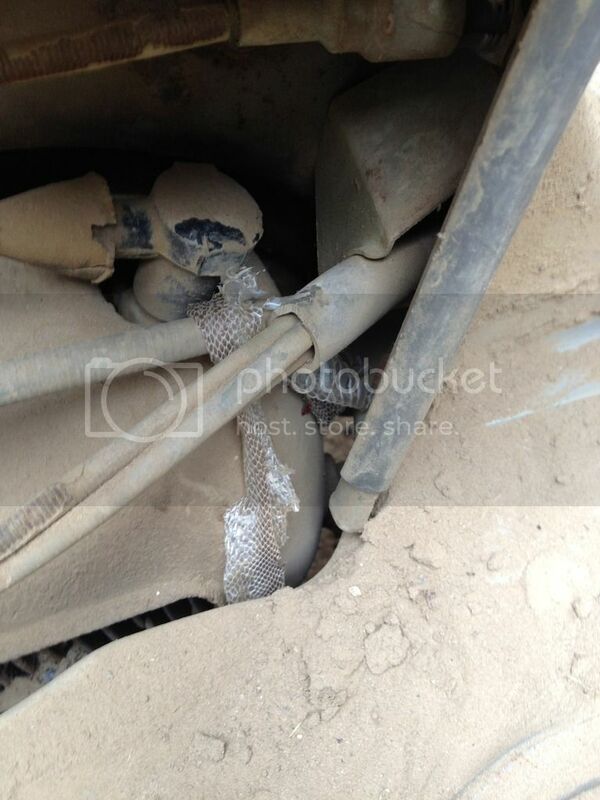 Found a snake skin in the engine compartment. Was surprised to see what the odometer read upon dusting it. So I opened a flickr account... the uploading directions seem simple enough but I'm not having much luck linking the images. I keep getting this message: You are not allowed to use that image extension on this community. Uhm, snake skin, Very MOD, or maybe it wasn't a slow puncture that the last owner was looking for before he died........hisssss! That's great.. 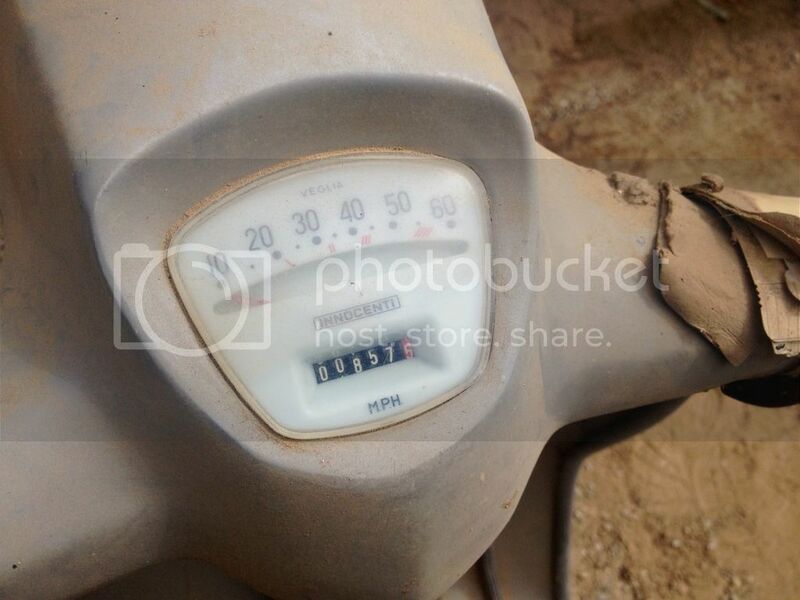 It looks like a Raiders/Lost Ark find/treaure... All covered in desert dust.. The stuff dreams are made of. There we go... I switched to Photobucket. Looks like it was bought new from a dealer in Santa Monica and registered by the owner though '75. That is incredible. Congrats! And see you at Lammy Jammy! Rock it as is, dont even bother cleaning it! Put gas and oil in it. Ride. Repeat. Don't wash.
What's going on on the right side of the headset, is that some sort of registration holder? Yes, it contained the registration papers, which are all curled up like a taco. In the storage box were the original tools and an old spark plug wrapped in some paper printed in Italian. Now THAT was stored in some dry conditions. LOL.